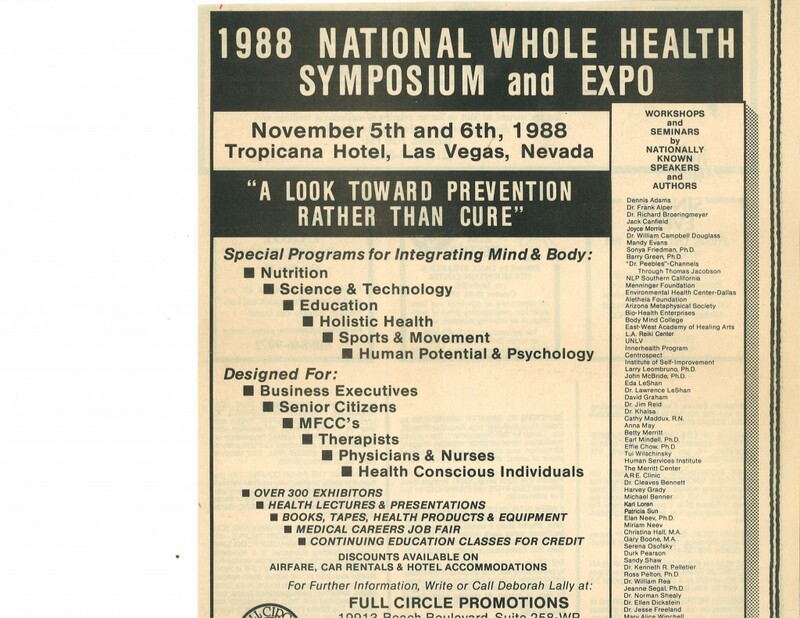 Deborah produced and coordinated the National Whole Health Symposium and Expo in Las Vegas, Nevada, in 1988. This successful event prompted Governor Richard H. Bryan to proclaim the week of November 1-7 as Nevada Whole Health Week. Not only did Deborah create this preventative health event, but she also wrote all the marketing products, including promotional and ad copy, print brochures, press releases, and media presentations. Over 200 world-renowned leaders in the holistic health field gathered for this life-altering program.